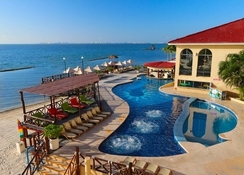 All Ritmo Cancun Resort and Waterpark is a splash-tastic resort located right on the beach, just 10-minutes from Cancun's prestigious Hotel Zone. Surrounded by lush greenery and hosting an impressive variety of leisure activities, this fun-loving hotel is ideal for active families and couples alike. 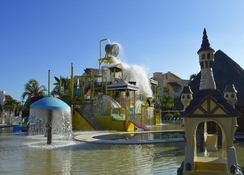 The hotel's major draw has to be its on-site waterpark, with enough thrills and spills to keep kids entertained for hours – with everything from Tree House waterslides to colourful water umbrellas. In addition, the hotel provides a swimming pool, terrace area, fitness centre, playground and a Kids' Club which is available for ages 5 – 11. 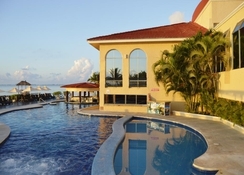 All Ritmo Cancun Resort and Waterpark offers 115 suites, complete with either views of the manicured garden or Caribbean Sea. When hunger strikes, guests can choose from nine of the hotel's restaurants and bars to relax in, serving up everything from Italian and Seafood to traditional Mexican cuisine. 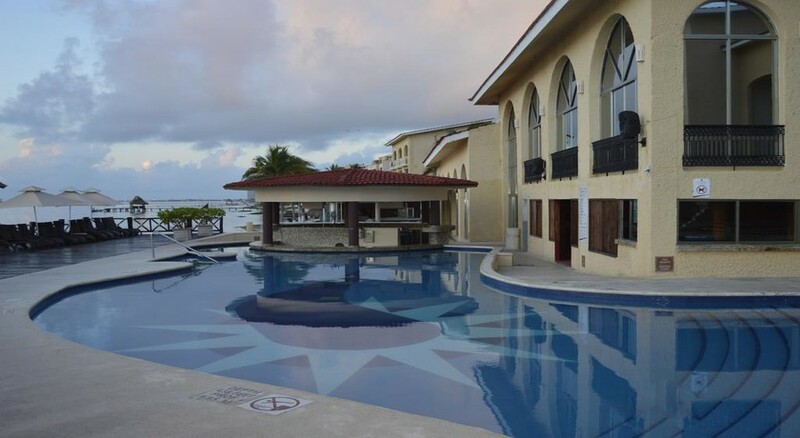 All Ritmo Cancun Resort and Waterpark is located just off the Hotel Zone, and is situated 2km north of Downtown Cancun, in the Playa Mujeres area. The hotel makes an ideal base for those who like to explore the surrounding area, plus the nearest airport is just 30 minutes away. 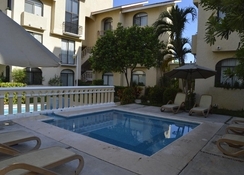 The hotel has 115 suites with either garden or sea views. The rooms are categorised as Standard Rooms and Junior Suites. Standard Rooms come with a king size bed or two double beds, a balcony or furnished terrace, a complete bathroom with shower, shampoo & conditioner, body wash and hair dryer. The Junior Suites are larger than the standard rooms and feature a king size bed or two double beds with a full bathroom. Amenities for both the room categories include flat screen TV (with cable), coffee maker, air conditioning and with views of the garden or sea. Your vacation will also be a culinary experience thanks to the choice of restaurants and bars at the hotel. El Palmar, the main buffet-style restaurant, offers spectacular views of the pool and the beautiful Caribbean Sea while guests indulge in breakfast, lunch and dinner. Guests can also enjoy different themed nights – Italian, Mexican, Caribbean, among others. Try Pancho Villa Restaurant, if you want to try some authentic Mexican food. There are other restaurants and bars at the establishment – Bar Diego’s, Cúpulas Bar and Oasis Bar to name a few. The hotel provides fantastic entertainment options fit for all the family. The exciting waterpark is a popular pastime for kids and adults alike, with four waterslides, pools and playgrounds to splash around in. The fitness gym is great if you want to stay active while abroad, while the spa allows guests to unwind with a selection of pampering treatments available. 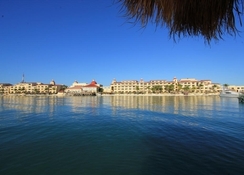 Outside of the hotel, the neighbouring resorts await.